How to Know If a Job Posting Is a Scam | WEX Inc.
WEX is aware of scams involving fraudulent job postings on third-party employment search sites and/or individual(s) or entities claiming to be employees of WEX. 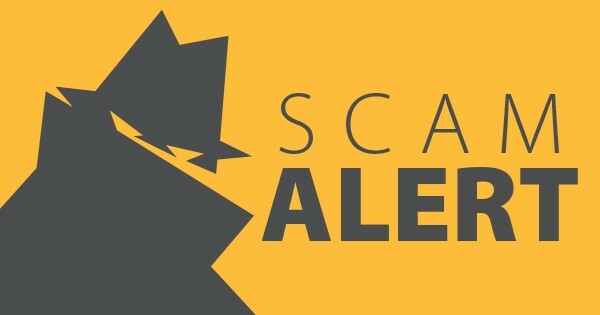 Those involved in these schemes are offering fraudulent job opportunities to individuals, often requesting sensitive personal and financial information. Please be advised that all legitimate correspondence from a WEX employee will come from a “@wexinc.com” email account. There is no variation in this email address. We recommend that you do not respond to unsolicited offers of employment from individuals claiming to work for, or be affiliated with, WEX. If you believe you have been contacted by anyone misrepresenting themselves as an employee of WEX, we advise that you contact your local authorities. Please read the following information about recruitment fraud. By making you aware of these fraud attempts, we hope to prevent you from being victimized, and ultimately prevent these scams from being perpetrated against others. Recruitment fraud is a sophisticated fraud scheme involving the offer of fictitious job opportunities. This type of fraud is normally committed via online channels such as unsolicited emails, online recruitment websites (LinkedIn, Indeed), and even text messages or online chats claiming to be from WEX or a WEX employee. These messages request that recipients provide personal information, make payments, or send checks to process applications for job opportunities that do not exist. What are the signs of recruitment fraud? Emails or online chats sent from an email address that is similar to an official WEX address (@wexinc.com), but differs by one or more characters, OR, emails are sent from a free web-based email service such as: AOL, Gmail, Outlook, or Yahoo. Requests for money (e.g. for taxes, ‘application’ or ‘visa fees,’ a percentage of travel expenses). Early requests for personal information such as address, bank account details, passport details, or date of birth. Use of mobile or platform telephone numbers rather than official company numbers. What should I do if I believe I am the victim of actual or attempted recruitment fraud? Please report all perceived scams to your local law enforcement. Keep the fraudulent message(s) for further investigation, if necessary. What should I NOT do if I believe I am the victim of actual or attempted recruitment fraud? Respond to unsolicited job opportunities or offers of employment from individuals with whom you are unfamiliar. Disclose personal or financial details to individuals with whom you are unfamiliar. Accept any checks or send any money. Engage in any further communication if you believe the communication may be fraudulent.